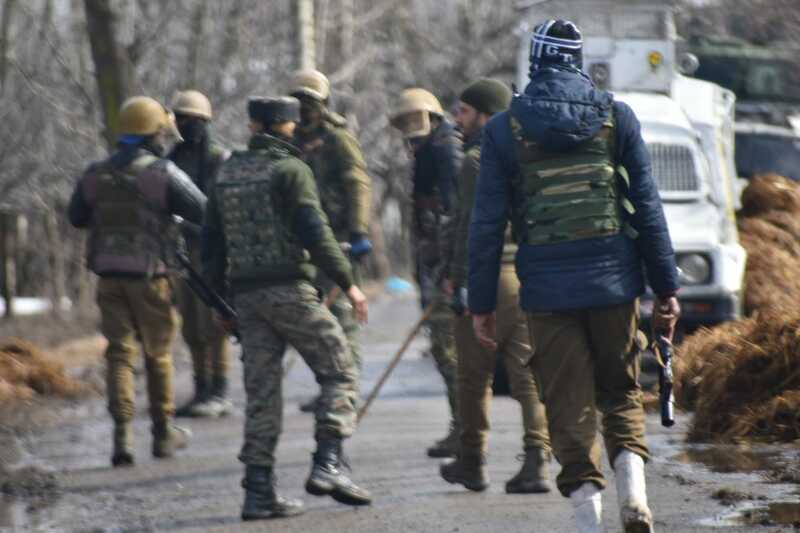 Srinagar, Mar 06 : Government forces on Wednesday launched a cordon and search operation in South Kashmir’s Shopian village. Reports said forces conducted house to house search operation in Kungnoo village of Shopian and sealed all exit and entry points in the area. A police officer while confirming the search operation and said a joint team of Army’s 44 RR, SOG and CRPF jointly launched searches in the village following inputs about presence of some militants. Pertinently on Tuesday amid complete shutdown two militants were killed in a gunfight at Tral village of South Kashmir’s Pulwama district. Meanwhile reports reaching Kashmir Despatch said parts of Pulwama shuts to mourn militants killing.